Muhammad Ali (Maa Kheru) was the greatest boxer the world has ever known. Decades later, professional trainers study film from his greatest fights to understand his technique and mimic his tactics. 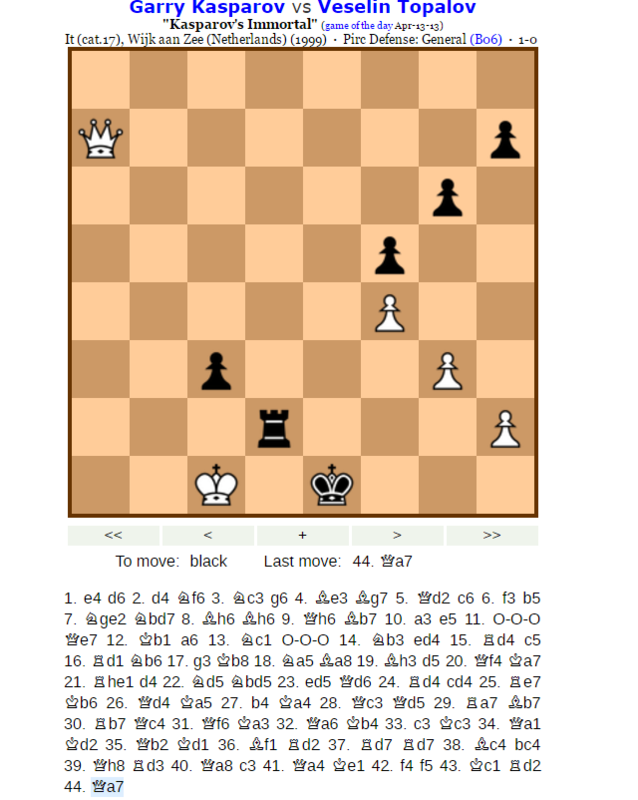 In 1999 Garry Kasparov and Veselin Topalov squared off in what would become recognized as one of the top rated chess games of all time. Over the next 9 days I will recreate the critical points of this game, thinking through each move. In addition to studying the principles behind each move, I'm also hoping to build muscle memory so I'll know how to react when I see similar moves in my own games. My plan is to run through the opening for three days, mid-game for three days and end-game for three days. I'll be reviewing lessons at the end of each interval. Of course boxing and chess are both sports but this concept can be applied to any skill you want to improve. In fact, world famous artists mimic the greats all the time. Below I've outlined a short 9-day challenge to help guide practice through mimicry. Step 4: Copy the work verbatim over the course of 9 days. Step 5: Record your observations and reflections every 3 days. Step 6: Leave a comment below after 9 days. Mimicry won't always get you to the top but it will definitely make you one of the better players in the room.